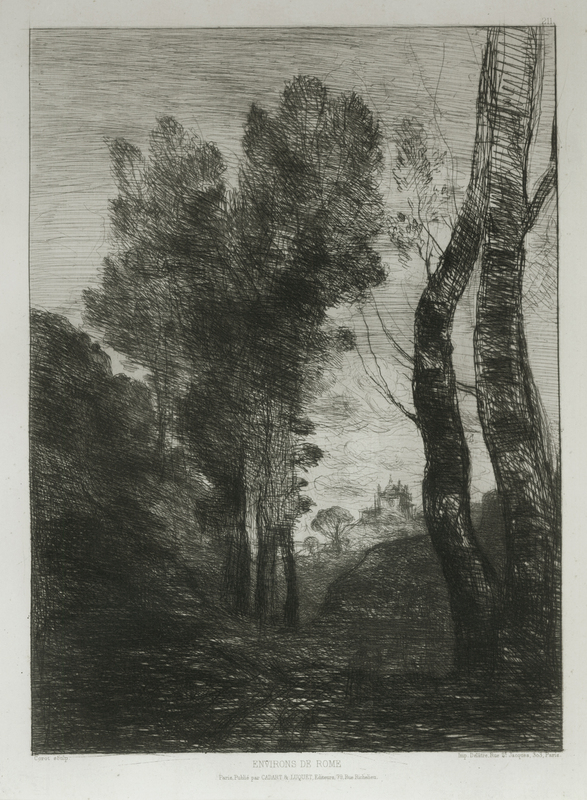 Etching with drypoint, image size 15 1/2 x 9 1/2 inches, c. 1890, edition of 20, pencil signed. Helleu began his art career when he enrolled at the Ecole des Beaux Arts and worked as an apprentice for Theodore Deck, decorating ceramic plates with women's portraits. He became friends with many artists of La Belle Epoch, including John Singer Sargent, Whistler, Tissot, Monet and Rodin, and became well known for his elegant portraits of women of French society. 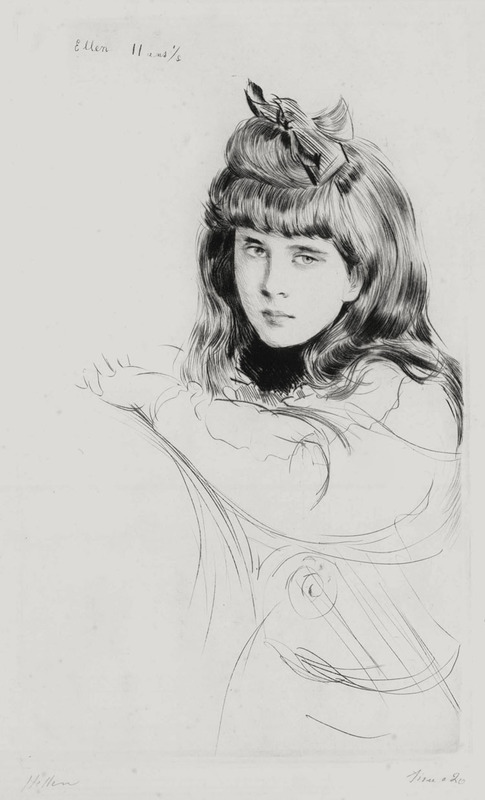 The young girl in this portrait is Helleu's daughter Ellen. 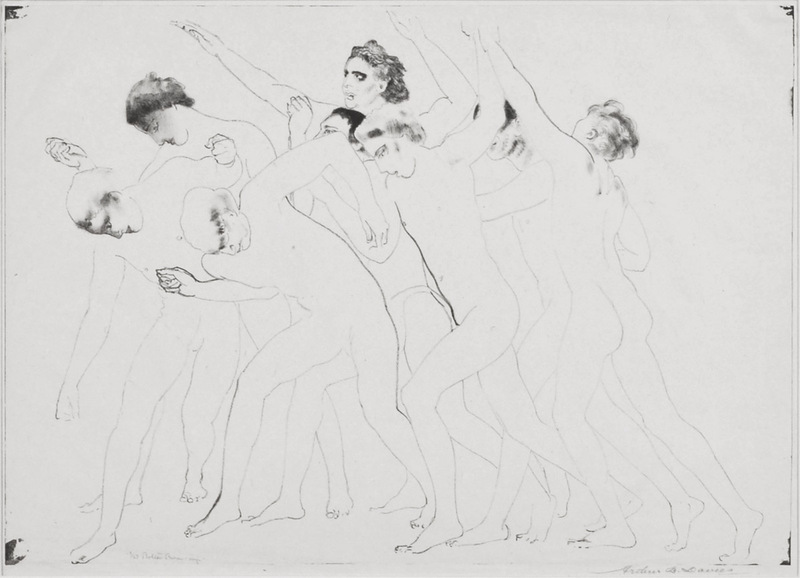 Lithograph, image size 15 3/8 x 18 inches, 1932, pencil signed. 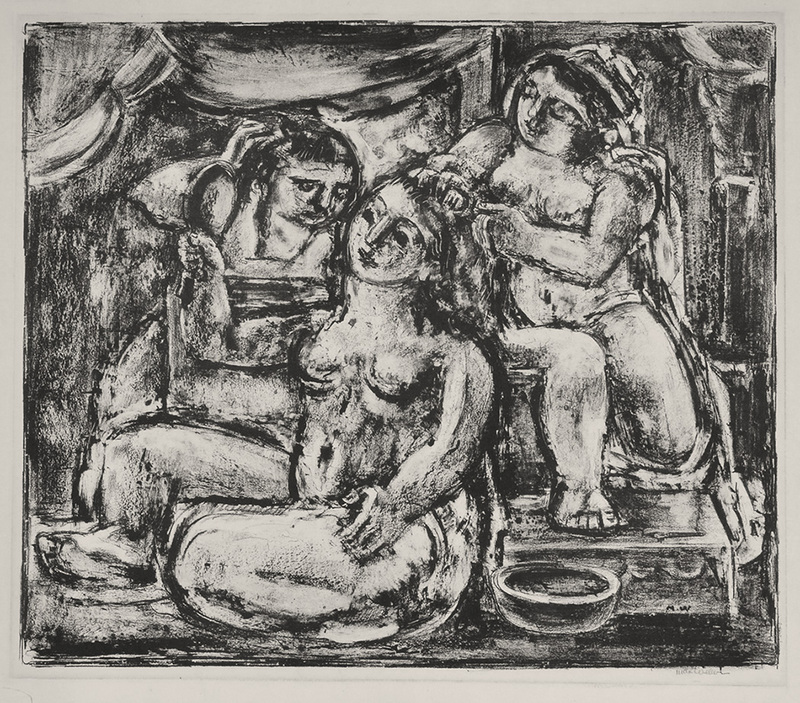 Born in Poland, Max Weber emigrated to Brooklyn, New York with his family at the age of 10. He went on to study art at the Pratt Institute in Boston, then traveled to Europe where he was influenced by the groundbreaking work of Henri Matisse, Pablo Picasso and Henri Rousseau. Weber returned to America, bringing with him the cubist and modernist ideas and techniques that he learned in Europe, and is considered by many to be one of the forefathers of American modernism. 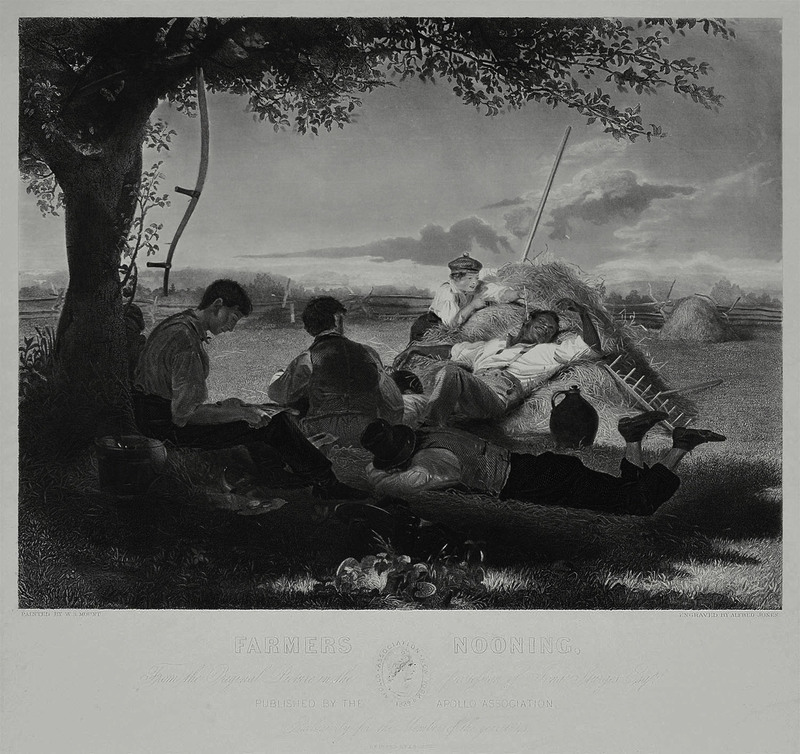 Engraving by Alfred Jones after the painting by William Sidney Mount, image size 12 1/2 x 16 inches, sheet size 17 7/8 x 19 7/8 inches, published in 1843 by the Apollo Association, printed by J. Dalton. 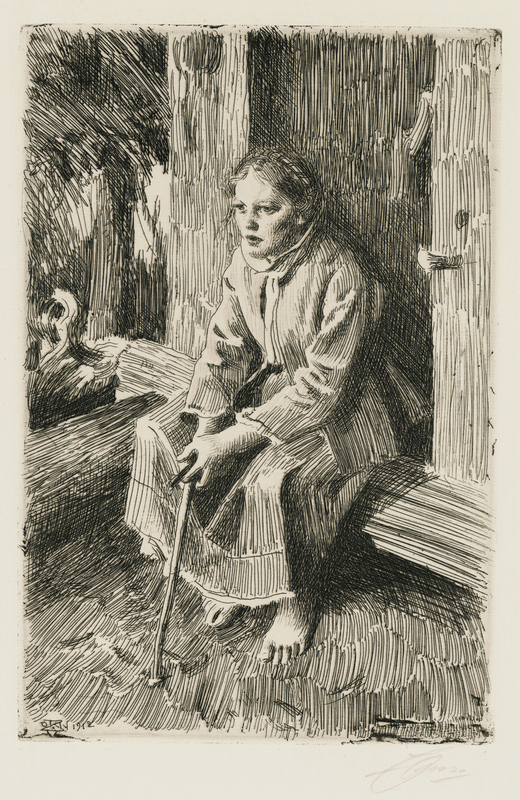 Etching, image size 6 3/8 X 14 9/16 inches, printed in 1942 by Charles White in an edition of 150, 2nd state proof, numbered "II", cat: Fletcher-370, pencil signed and dated. This atmospheric etching is a great example of the delicate lines and precise detail for which Arms was known. 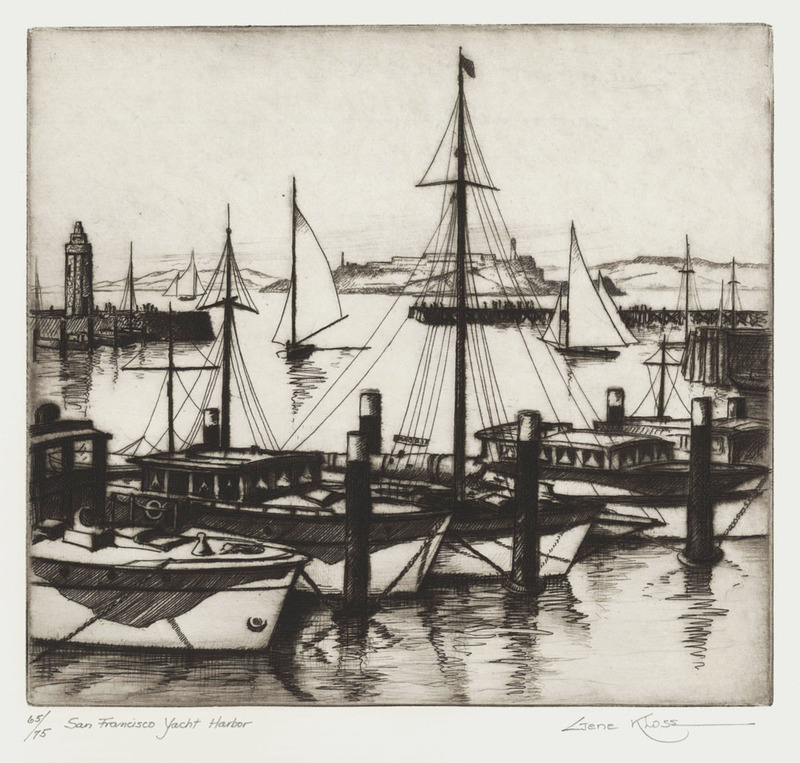 This image won several awards in the early 1940s; the Mrs. Henry F Noyes Memorial Prize for best print at the 27th Annual Exhibition of the Society of American Etchers, New York, N.Y. 1943; the First Prize in Black and White Section at the 12th Annual Exhibition of the Irvington Art and Museum Association, Irvington, N. J. 1945; and the First Prize in Black and White at the Annual Art Exhibition of the Bridgeport Art League, Bridgeport, CT. 1945. 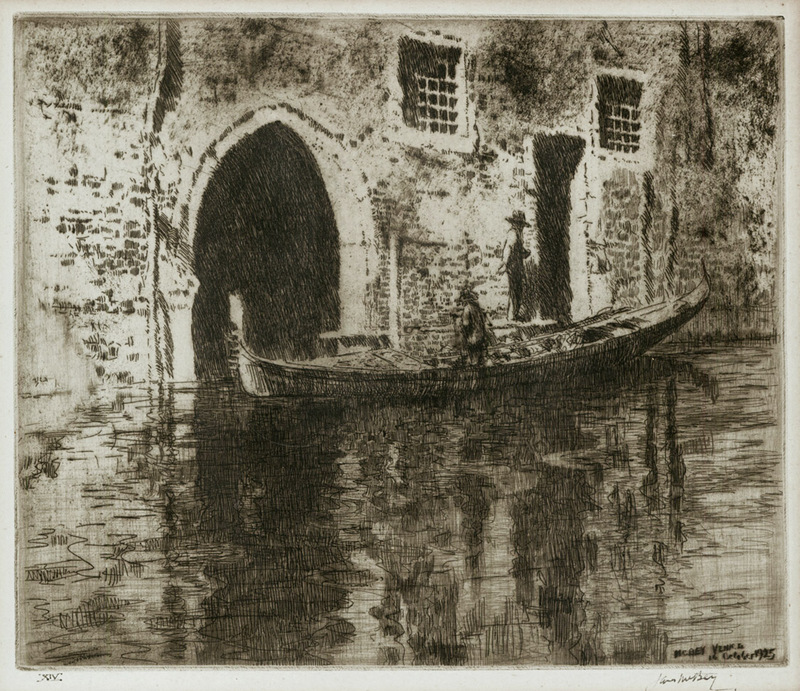 Etching with drypoint, C. 1900. Pencil signed in the lower right. There is a repaired tear at the bottom of the print, not in the image. There are also some thin spots on the back of the paper. Plate measures 23 x 13 1/2 inches on 24 1/2 x 16 3/4 inch wove type paper. A well inked, captivating portrait. 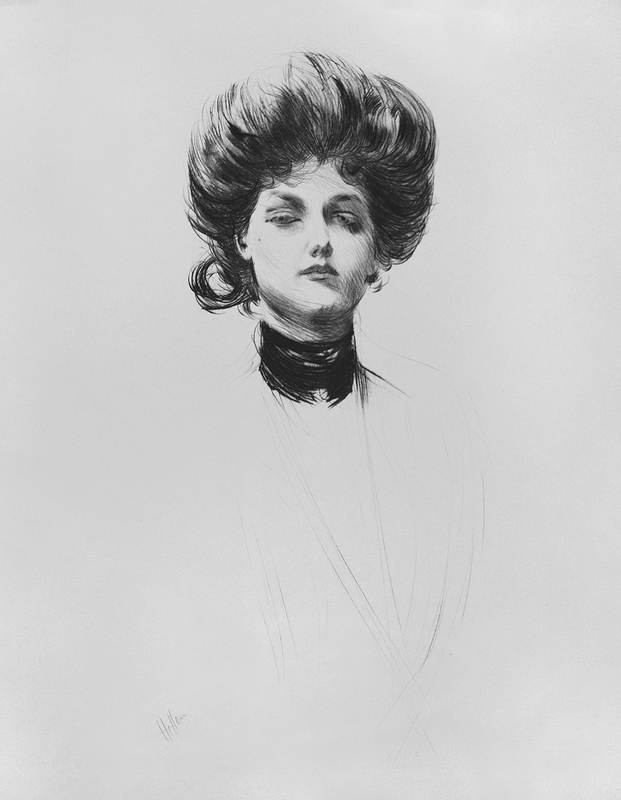 Helleu began his art career when he enrolled at the Ecole des Beaux Arts and worked as an apprentice for Theodore Deck, decorating ceramic plates with women's portraits. He became friends with many artists of La Belle Epoch, including John Singer Sargent, Whistler, Tissot, Monet and Rodin, and became well known for his elegant portraits of women of French society. He traveled between France and America, and in 1912 was commissioned to create the astrological ceiling decoration in New York's Grand Central Station. This is an original color aquatint etching by American artist John Taylor Arms. The title of this image is "Loop-The-Loop". 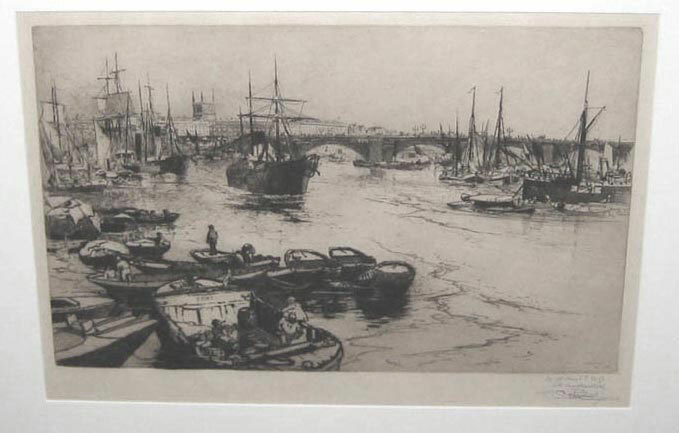 It was created and printed in 1921, in an edition of 25 signed impressions. This one is pencil signed dated and titled lower border. Very fine condition. 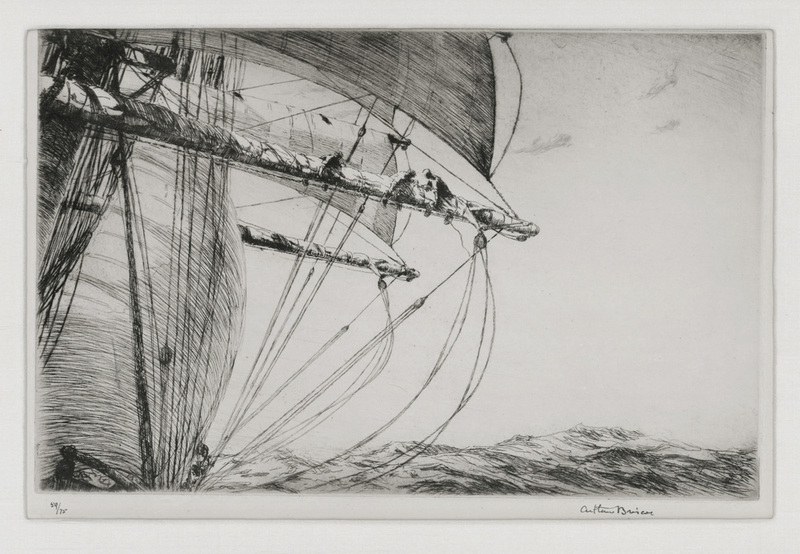 This is a rarely seen etching by this great American printmaker. The image measures 6X4 inches printed on a medium weight wove type paper. 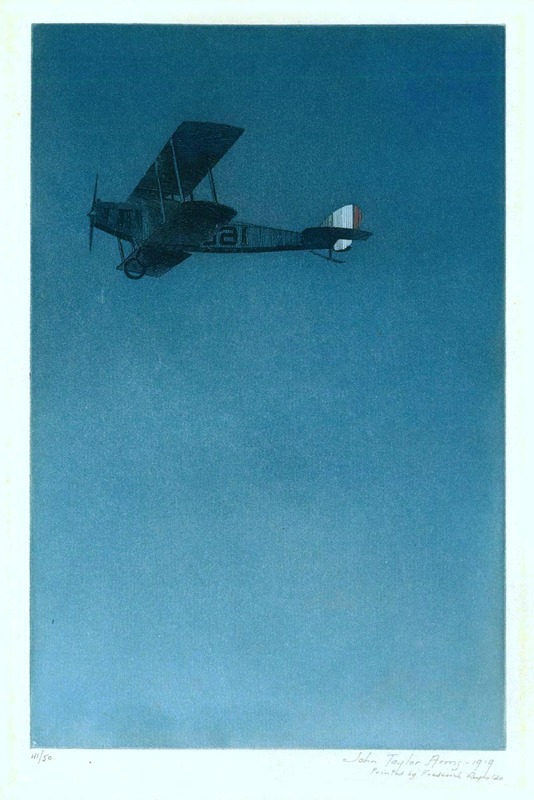 This is an original color aquatint etching by American artist, John Taylor Arms. The title of this work is "The Birdman" It was created and printed in 1919. This is a very scarce image by Arms. It has a pencil signature, and is editioned as 41/50. It also has the printer Frederick Reynolds name under the artists in the lower border. Very fine condition, printed on watermarked laid type paper. The image measures 7 5/8x5 inches. 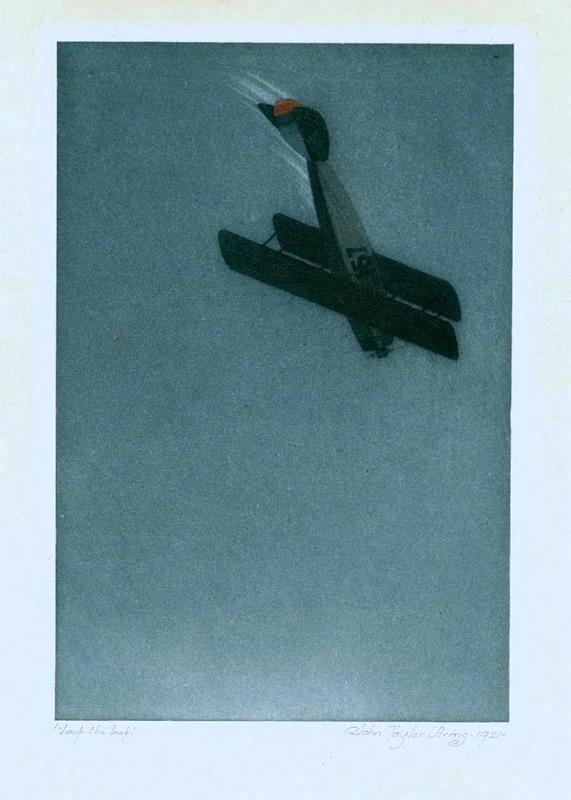 This image appears in the Fletcher catalog as image number 25. Drypoint etching C. 1900. Pencil signed in the lower right. A rare print. Repaired tear in the top edge of the paper, not in the image. Thin spots on the back of the paper. An intense and brooding portrait with a rich drypoint burr. Plate measures 21 x 13 inches on 26 x 18 inch wove type paper. 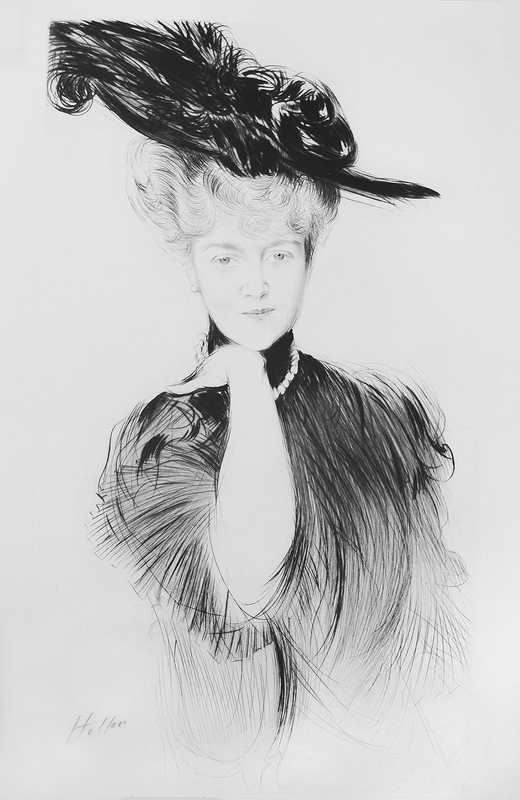 Helleu began his art career when he enrolled at the Ecole des Beaux Arts and worked as an apprentice for Theodore Deck, decorating ceramic plates with women's portraits. He became friends with many artists of La Belle Epoch, including John Singer Sargent, Whistler, Tissot, Monet and Rodin, and became well known for his elegant portraits of women of French society. He traveled between France and America, and in 1912 was commissioned to create the astrological ceiling decoration in New York's Grand Central Station.